This is an awesome piece that is well illustrated. 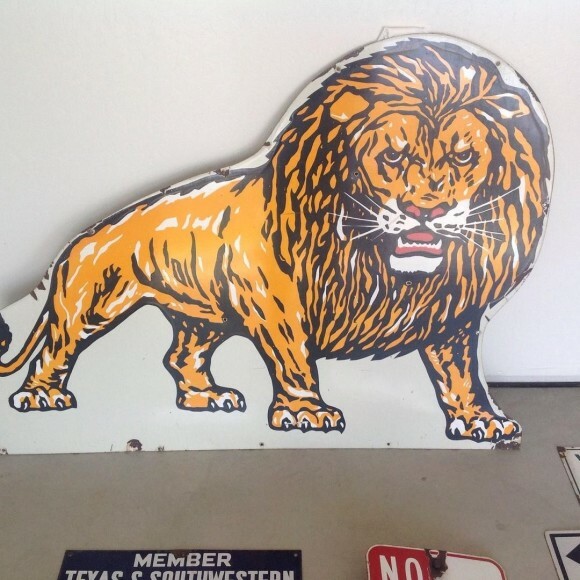 Advertising Lyon Van and Storage, this die cut lion is yellow and navy blue with a white background. The lion has several mounting holes cut out for hanging.